Lots in the SW corner of Unit 5 were finished sometime before September 23rd, 2013 when I went out and inspected my Unit 2 lots prior to cleaning them up. I looked through my emails and blog posts, looks like I never told anyone about this!? Also, November 1st, when I paid property taxes, I went to Recorder’s office and verified that Russo sold 51 lots in Units 5 & 2 to DR Horton for 33,600/lot (corrected in posts below). Two of those lots sold to DR Horton (in Unit 2) belonged to the prior majority lot owners (Tucson Acquisition and Development Corporation, which is being sued for securities fraud involving this subdivision), online Recorder’s/Assessor’s records show they (prior majority lot owners) sold two lots to NT Properties for $70k, which doesn’t make sense. According to those same records, one of Russo’s shell companies, PRD Investments sold six lots to NT Properties for $180,000 = $30k/lot. 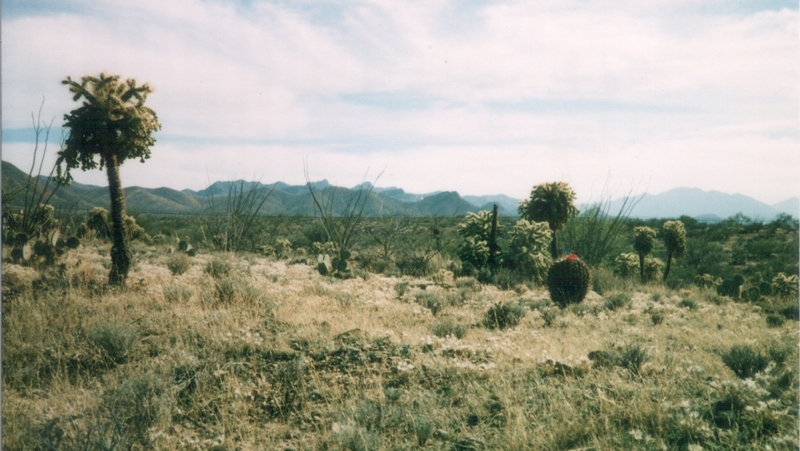 Unit 5 looking SW, March 2003 with tagged barrel cactus. As you know, Russo has offered me and another Unit 2 lot owner $20k-$25k/Unit 2 lot so he can turn around and sell them for $33,600. I also told Russo several months ago of two Unit 2 lots for sale for $15k/ea, they were free and clear of liens. I could have bought them but knew I could not sell them. Russo bought them and did not thank me for the tip. Image | This entry was posted in Uncategorized and tagged DR Horton, NT Properties, PRD INVESTMENTS, Steven Russo, Sycamore Vista Unit 5, Tucson Acquisition and Development Corporation. Bookmark the permalink.